Typ A for constant centre web in the plug. 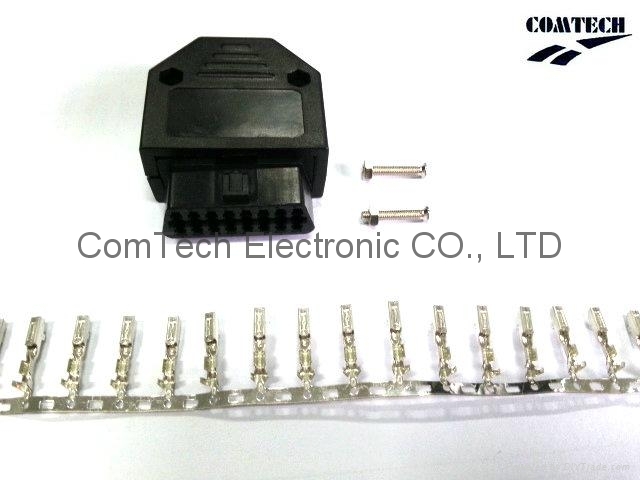 Including 10 Crimp Terminal pins (Sn, Tin) for individual configuration of the necessary signal lines. 2 Retainer/Locks. These are pushed in from the rear, in order to ensure, thus the socket pins not be able to slip out.